A Winter Weather Advisory from the National Weather Service remains in effect until 1 p.m. this afternoon (Thursday, Nov. 15). A Winter Weather Advisory means that periods of snow, sleet or freezing rain will cause travel difficulties. Expect slippery roads and limited visibilities, and use caution while driving. Fairfax County Police are reporting numerous county roadways are impacted by the weather (9 a.m. update). Public safety officials encourage you to use caution and follow police direction. The National Weather Service (forecast) reports mixed precipitation is expected, with total sleet and snow accumulation of up to one inch, and ice glaze accumulations of up to a tenth of an inch expected. Plan on slippery road and sidewalk conditions in some areas. Fairfax County Government is open, however Fairfax County Public Schools are now closed, following an earlier announcement of a two-hour delay. This school closure affects some county programs/services, so please check before you drive to any location to ensure that it is open and operating. At this time, Fastran has announced that they will transport dialysis, chemotherapy and radiation trips only. All other scheduled route services are canceled, including senior centers, adult day health care, Women’s Recovery Center, senior residence trips and charter services. For general information about Human Services Transportation, call 703-222-9764, TTY 711. 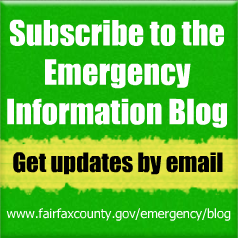 If additional closures or delays are announced by Fairfax County programs, we will announce them via social media and here on the emergency information blog. With FCPS closed why doesn’t the county go to a liberal leave policy? Makes it difficult for employees with school aged children. Dear Anonymous … Fairfax County government employees are free to use leave time if they do not feel safe driving to work or have personal child care issues that require them to miss time on the job. The government’s responsibility is to open on time and serve the residents of Fairfax County. I agree, our office has people’s kids in today. The schools posted quite a bit earlier than 8:50 am there was a two hour delay. Please post something about the county’s decision when the schools are delayed or closed at the same time, even if it just that the county is open. Thank you. Dear Anonymous … you are correct. Fairfax County Public Schools updated their status at 8 a.m. this morning, changing from a two-hour delay to a closed status. However, Fairfax County Government already had its operating status message (of being open on time) on both our employee snow lines and the emergency information hotline well before either FCPS decision was made. Those numbers, if you need them, are 703-817-7771 and for county employees, 703-324-7669. 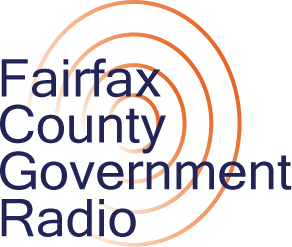 Feel free to call them at anytime, 24/7 for the most up-to-date operating status message for Fairfax County Government. Or how about actually pre-treating the roads so it’s not a complete mess. Dear Anonymous… VDOT handles roads in Fairfax County and as such, handling pre-treating, snow plowing, etc. Feel free to contact them if you have any suggestions. It is truly sad that Fairfax City is under liberal leave while Fairfax County is still open. I wish our company followed the federal govenment. Total unfair.